My children love to eat ice cream! And if I am being perfectly honest, I love it too! One of my favorite types of ice cream is Mint Chocolate Chip, but a close second is Cookies and Cream. 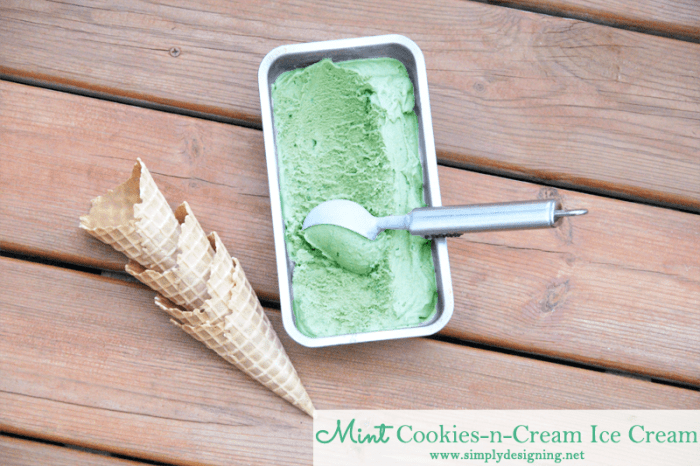 So I decided to combine the two together and the kids and I made some really yummy Mint Cookies and Cream Ice Cream! First you will mix your milk, cream, sugar, salt, extracts and food coloring together in a bowl with a spoon until the sugar is dissolved. 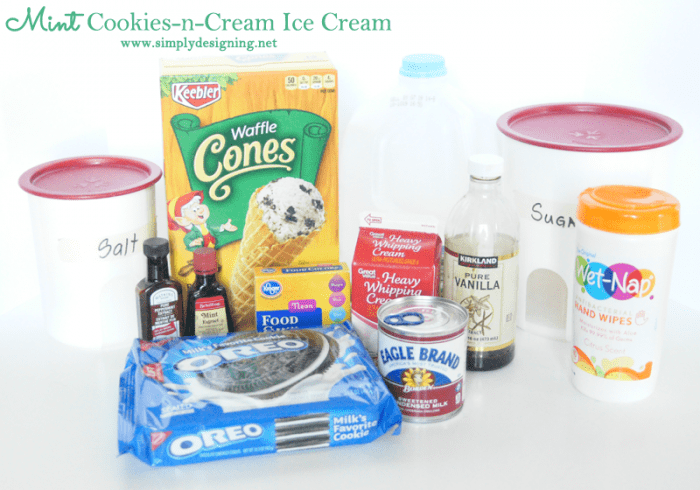 Then place your mixed ingredients into an ice cream maker and get it started! Let your ice cream maker run for about 30 minutes or as long as your directions tell you to! A few minutes before the ice cream is done stirring, add your crushed Oreos to blend in. Don’t stick these in early as your ice cream will no longer be green, but it will turn brown. I may or may not know that from personal experience. Place into an airtight container and place into the freezer several hours or preferably overnight. Enjoy your delicious ice cream in some really tasty waffle cones! 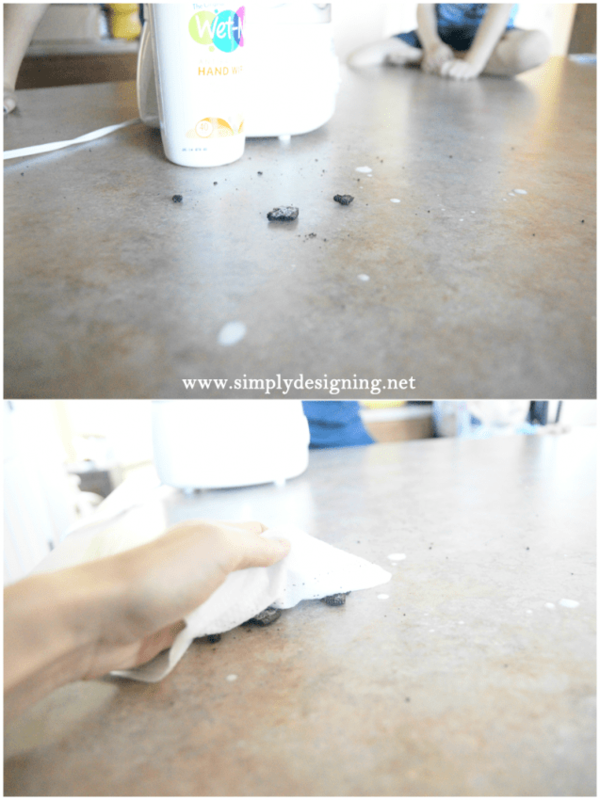 After my kiddos were done pouring in all of the ingredients, we took a few Wet-Nap’s and simple wiped off the counter! 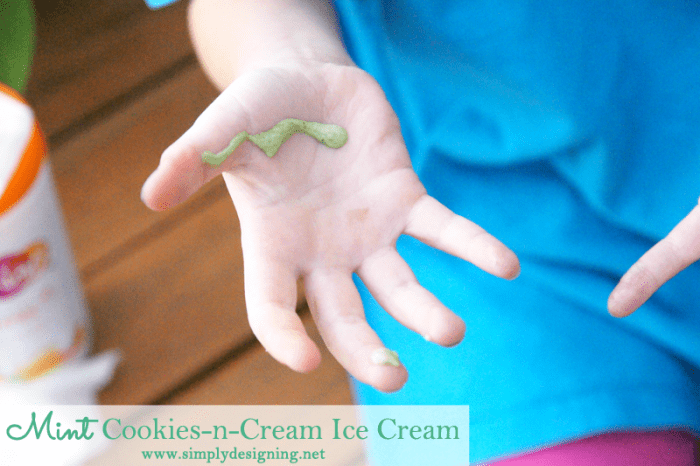 And of course when you give little girls ice cream cones, they may or may not drip. Again I pulled out a really handy Wet-Nap and cleaned her hands really well! I will confess I still by wipes even though my “baby” is 4 years old and hasn’t been in diapers for a long time. 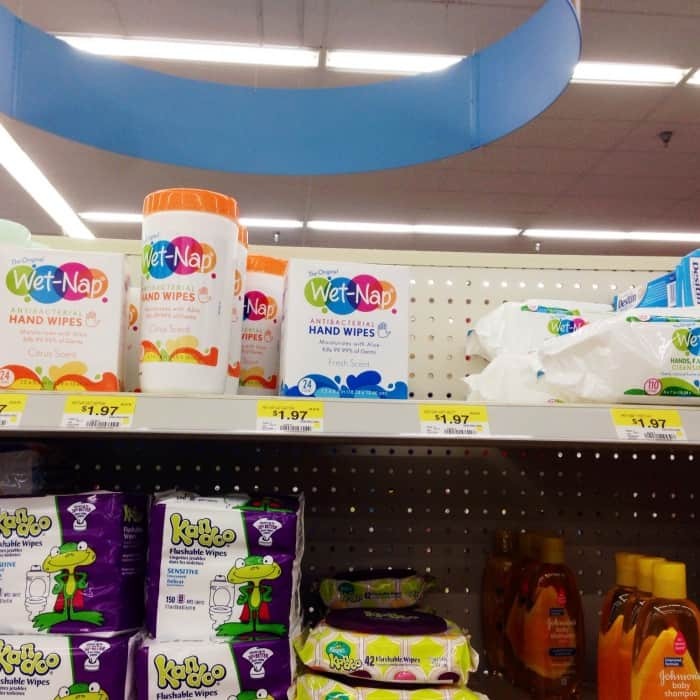 So I LOVE how these Wet-Nap products come in pop-up containers, wipe containers and also in individually wrapped packages. 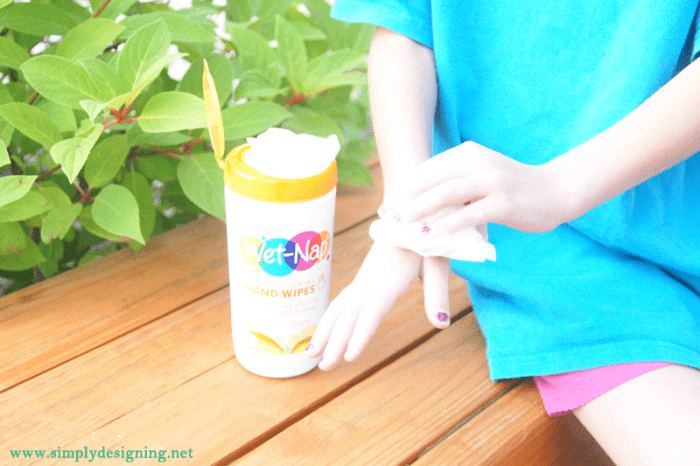 They come in perfectly-sized wipes that are perfect for cleaning little hands, little faces and even little feet! These are perfect for on the go too. And I love that they moisturize more now then they used too! These are also soft and great for any tough job! 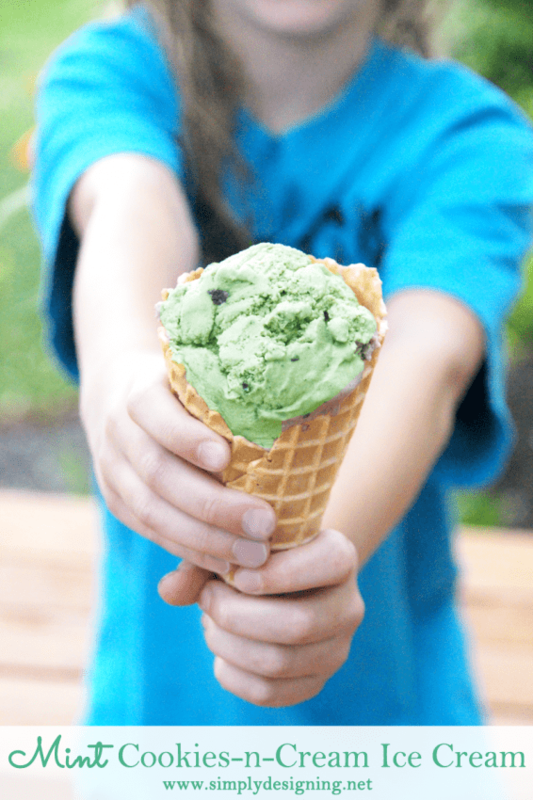 After letting my ice cream cool for most of a day in the freezer, our whole family enjoyed this yummy Homemade Mint Cookies and Cream Ice Cream! Be sure to head HERE before you make your ice cream to get your coupon for 55 cents off you next purchase of any Wet-Nap product (while supplies last)! Enjoy! Oh, does this ever look cool and refreshing. Perfect for a summer treat! 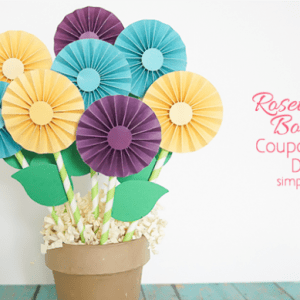 Don’t forget to link this up to my Feature Friday Link Palooza! I know my readers would love this! What a perfect treat! I really need to get an ice cream maker! This looks amazing! I love mint ice cream!